PYONGYANG, North Korea -- North Korea has detained a U.S. citizen, officials said Sunday, bringing the number of Americans being held there to three. Tony Kim, who also goes by his Korean name Kim Sang-duk, was detained on Saturday, according to Park Chan-mo, the chancellor of the Pyongyang University of Science and Technology. Park said Kim, who is in his 50s, taught accounting at the university for about a month. He said Kim was detained by officials as he was trying to leave the country from Pyongyang’s international airport. A State Department official said it is aware of reports that a U.S. citizen has been detained in North Korea. The official said that the protection of U.S. citizens is one of the State Department’s highest priorities and that it works with the Swedish Embassy in cases in which Americans are reported to be detained in North Korea. The official said the department had no further comment due to privacy considerations. The Swedish Embassy in Pyongyang said it was aware of a Korean-American citizen being detained recently, but could not comment further. The embassy looks after consular affairs for the United States in North Korea because the two countries do not have diplomatic relations. Park said Kim had taught at the Yanbian University of Science and Technology in China before coming to Pyongyang. He said he was informed that the detention had “nothing to do” with Kim’s work at the university but did not know further details. As of Sunday night, North Korea’s official media had not reported on the detention. Though no details on why Kim was detained have been released, the detention comes at a time of unusually heightened tensions between the U.S. and North Korea. Both countries have recently been trading threats of war and having another American in jail will likely up the ante even further. On Saturday, North Korea declared that “U.S. muscle-flexing can never browbeat DPRK,” threatening “a nuclear war” against the U.S. if it is attacked, CBS News’ Pamela Falk reported. “The DPRK will react to a total war with an all-out war, a nuclear war with nuclear strikes of its own and surely win a victory in the death-defying struggle against the U.S. imperialists,” a Foreign Ministry spokesman wrote in one of three missives. The spokesman accused Trump administration officials of “spouting a load of rubbish” and “seeking to bring nuclear aircraft carrier strike groups one after another to the waters off the Korean Peninsula, ” an apparent reference to the impending arrival of the USS Carl Vinson carrier group to the region. North Korea has a new warning for the U.S.
Last year, Otto Warmbier, then a 21-year-old University of Virginia student from suburban Cincinnati, was sentenced to 15 years of hard labor in prison after he confessed to trying to steal a propaganda banner. CBS News correspondent Seth Doane reported last year that Warmbier was in North Korea for a five-day visit and was detained at Pyongyang’s airport ahead of a flight back to China. Kim Dong Chul, who was born in South Korea but is also believed to have U.S. citizenship, is serving a sentence of 10 years for espionage. 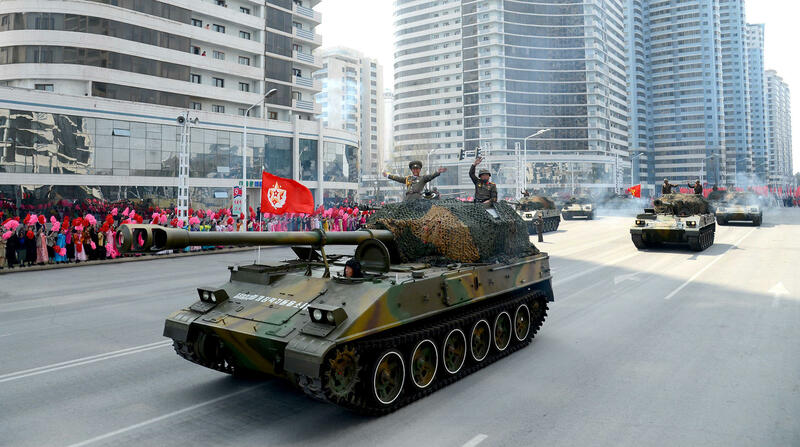 Another foreigner, a Canadian pastor, is also being detained in North Korea. Hyeon Soo Lim, a South Korean-born Canadian citizen in his 60s, was convicted and sentenced to life in prison in 2015 on charges of trying to use religion to destroy the North Korean system and helping U.S. and South Korean authorities lure and abduct North Korean citizens.